From the deeply raked windshield to the bold front grille, face-to-face, the Sedona's SUV-like appearance is sleek, muscular, and sophisticated. The Sedona breaks convention and commands attention. From the redesigned bright LED positioning lights to the 18-inch machine-finish alloy wheels, the Sedona is distinctive style made for the road. The Sedona's first-in-class Slide-N-Stow seating lets you easily fold the second row upright while the third row conveniently stows under the floor-giving you ample space without removing any seats. And for eight-passenger seating, the second-row center section can be taken out to offer even more room. See just how easy it is to configure the Sedona to suit your lifestyle. The perfect balance of power and refinement. The Sedona's endurance-tested powertrain delivers 276 horsepower and an exceptionally quiet, smooth drive. Engineered with Amplitude Selected Dampers (ASD), added rear strut reinforcement, and an all-new high-strength chassis to improve handling and dynamics, the Sedona is confidence behind the wheel. Intelligent and responsive, the 2019 Sedona is loaded with cutting-edge innovations to help keep you in control. Like the standard Rear-Camera Display, as well as standard Apple CarPlay and Android Auto connectivity. It's intuitive technology at your fingertips. The Sedona offers available active technologies designed not only to alert you of potential accidents, but also to help avoid some altogether. From the expanded use of high-strength steel to the advanced airbags system and seat-belt pre-tensioners, we've equipped every Sedona with passive safety systems designed to help protect you and your passengers. Engineered to help minimize injury. The advanced airbag system features sensors that detect impact levels and the presence of a front passenger, helping to manage airbag inflation. 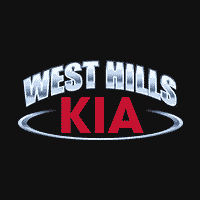 At West Hills Kia, where the smart shoppers buy. Proudly serving drivers from Gig Harbor, Bainbridge Island, Port Orchard and beyond. For more information on the 2019 Kia Sedona or to schedule a test drive, contact our sales staff or visit us in Bremerton today. 2019 Kia Sedona Kia Sedona 2019 Explore the 2019 Kia Sedona at West Hills Kia in Bremerton, WA. Expansive features and options for the long haul. Shop now.